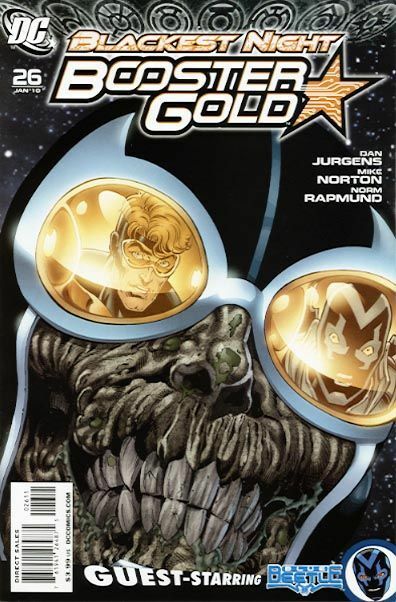 Booster Gold is off using his time travel abilities to revisit Ted Kord's funeral just as Blackest Night is about to engulf Earth and resurrect the former Blue Beetle from the dead. The reason behind Booster's excursion in time is regret: following Ted's death, Booster failed to find any words to eulogize his friend, which ranks high up on the disgraced hero's list of regrets. Booster Gold's worst fears are realized when Ted Kord comes back as a Black Lantern intent on killing his former best friend. Good thing there's another Blue Beetle around to helpâ¦but will Jaime Reyes be too late to save Booster's life?